The International Rice Research Institute has applied to Food Standards Australia New Zealand (FSANZ) for GM golden rice to be approved for sale in Australia (A1138). This approval was strongly sponsored by the industry corporates like, Syngenta and Dow who are part developers of the GM rice. FSANZ was asked to deny the approval by a Filipino farmer-led group, MASIPAG. MASIPAG said an approval in Australia means the Philippines could automatically approve the GM rice with no democratic participation. They note that there are no studies comparing this rice with locally available Vitamin A rich food or with the government programme of supplements. Filipino farmers could be seduced into growing GM golden rice, rejecting traditional varieties which are nutritionally diverse and fulfil the needs for food security and human health. The GM rice contains three new proteins that have altered the rice endosperm so it can produce vitamin A. The whole application has been assessed using unpublished applicant data. FSANZ did not receive, or request, any ingestion/feeding studies with the application, so there are no publications on whether the GM rice would cause allergic reactions or even anaphylaxis in children, immune compromised people or the elderly. 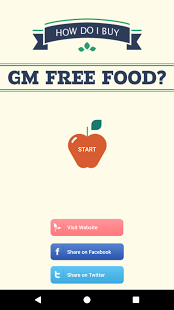 FSANZ is aware that this application is not because GM golden rice will be sold in Australia. Instead it could be a contaminant in rice, rice flour, bran, bran oil or husks. This GM rice application means rice products contaminated with GM Golden Rice will need neither labelling nor recall. The Australian consumer will be unaware what they are eating. The Golden Rice crop is unstable, as is shown by the wildly varying b-carotene yields . FSANZ cannot do an adequate assessment on nutritional safety due to this instability, especially in the levels of nutrients and anti-nutrients. “We ask the Ministers on the Forum to request a review of Food Standards Australia New Zealand (FSANZ) approval of GM golden rice (A1138) under section 21 of the FSANZ Act. We ask for comprehensive 90 day feeding trials, peer reviewed evidence that the GM golden rice can be stored and cooked without nutrient loss and that the GM golden rice produces a stable level of Vitamin A,” said Jessica Harrison. The application provided no direct studies showing the exact effects of ambient storage over time, cooking and processing on the Vitamin A benefit of Golden Rice.